Godrej Golf Meadows Mumbai is a top residential project located in Old Panvel, Mumbai.Godrej Golf Meadows is the ideal location for modern day and peaceful living.The Godrej Golf Meadows 1 BHK, 2 BHK, and 3 BHK homes are available in size ranging from 459 Sq. Ft. to 1093 Sq. 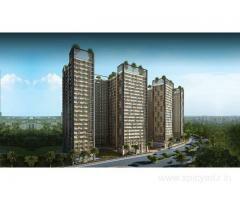 Ft.Project comes with all world class amenities and specifications. Size: 459 - 1093 Sq. Ft.